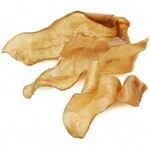 Dried lamb ears. Healthy for every dog. Easily digested, hypo-allergenic and suitable for dogs with a diet.